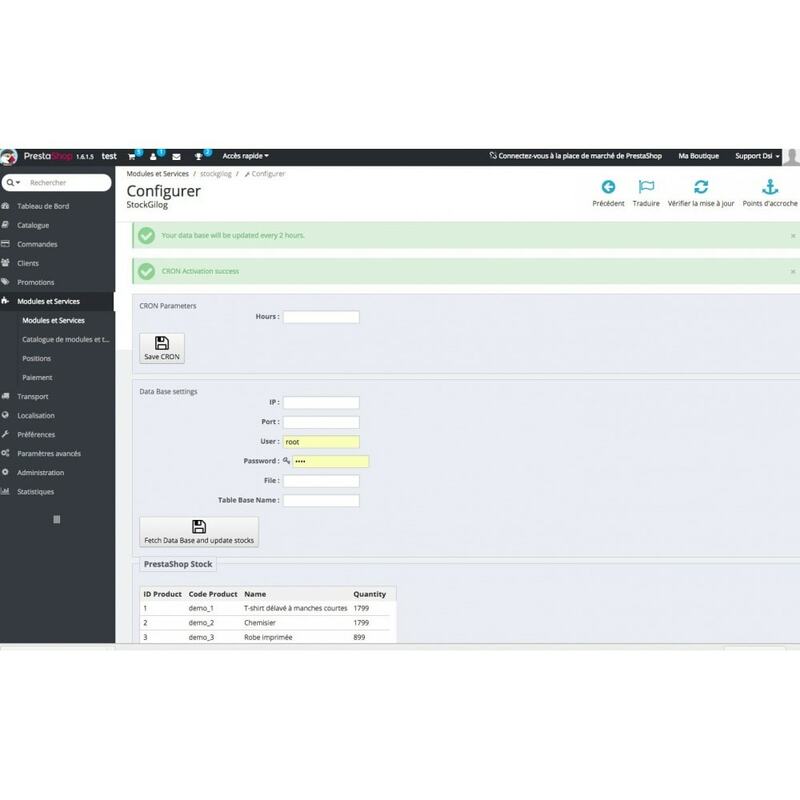 This module allows you to update your PrestaShop’s quantity product with a Cogilog data base. 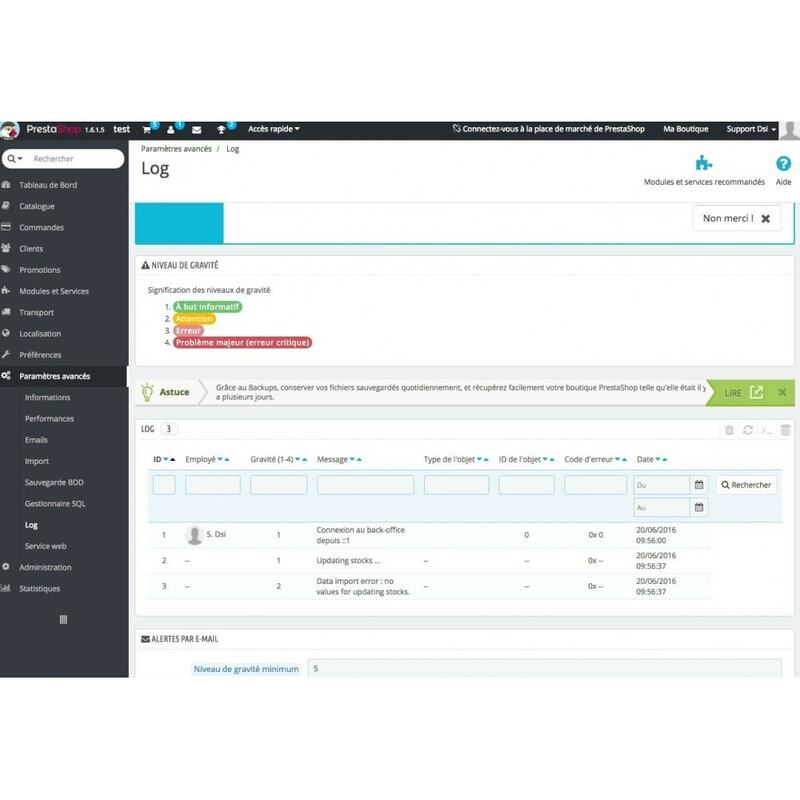 It also allows you to set an automated task (CRON), it will also prevent you if a product is detected as sold out on Cogilog, as a log message. This module is easy to use, it will allow you to take your product quantity updated every day. It will then avoid you to sell sold out products to clients and then, avoid some after-sales service. Note that this module can only be used by COGILOG Gestion version 10.5.x, holders assuming that the code used on Cogilog and on PrestaShop are the same for each product. 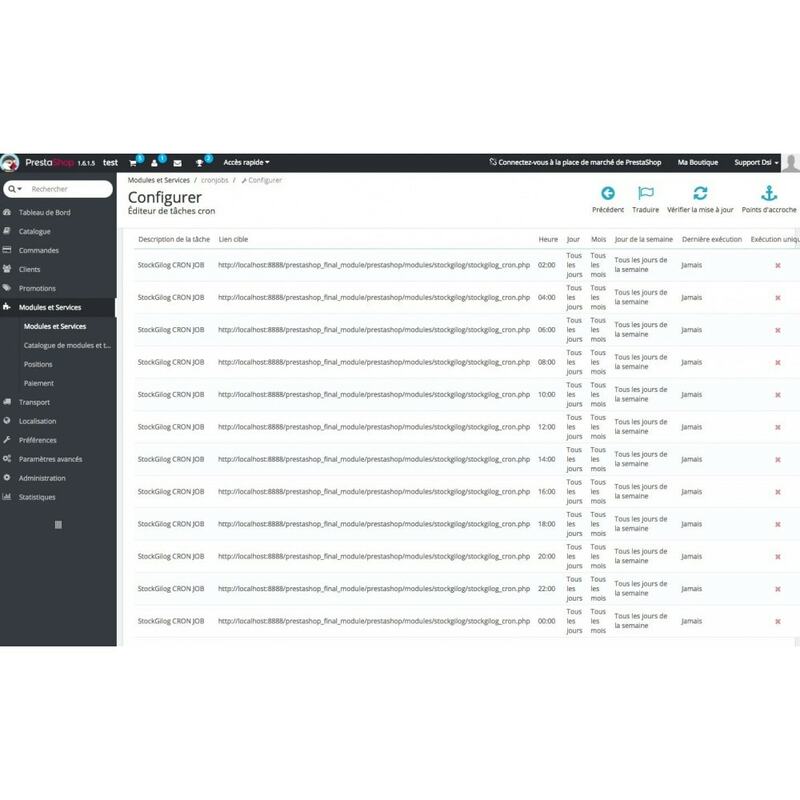 Every loose of data, clients or benefits and others problems related to misuse of this module will not be the DSiX’s and his Contributors’ responsibility. 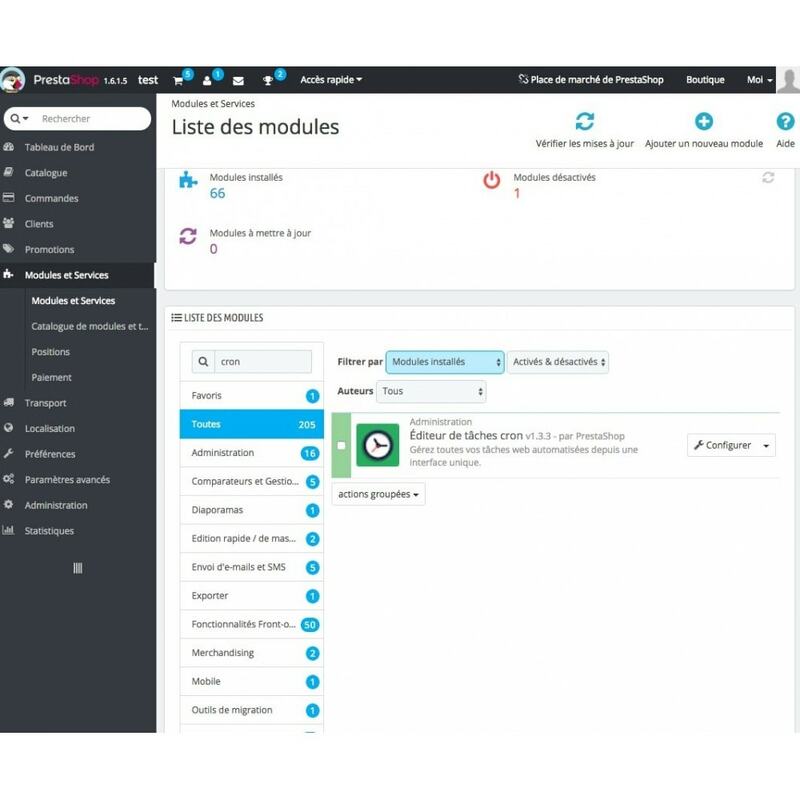 This module’s aim is to update product quantity on PrestaShop from a Cogilog data base, every problem unrelated to the principal use or to the automated configuration task will not be considered. Your clients will be sure to buy their product they want being sure that it is in stocks ! It is easy to install and to configure, you just have to check out your COGILOG Gestion 10.5.x database information.